Your content strategy should be centered upon crafting content that your audience will find informative, helpful, and interesting. Content can be anything from a short industry update to an in-depth blog. Performing keyword research is a crucial step in developing strong content that answers a question people are searching for. Creating “fluff”, or content without significant value can hurt your website’s search ranking. The Millennium Marketing Solutions team would like to invite you to partake in an afternoon of digital marketing education. Google representatives will be live-streaming to discuss how you can best reach potential clients using tools such as Google Ads. The Lunch & Learn event is free and lunch will be provided. Our own digital marketing team will be available to answer any follow-up questions you may have after the Google presentation. We look forward to an informative afternoon! Please be sure to RSVP by Tuesday, October 30. If you have any questions please feel to contact us and we would be happy to help! Enjoy a delicious lunch and an afternoon of learning with our Digital Marketing Manager and Director of Clients. Our team will lead a discussion on the growing importance of Google My Business and Local SEO as related to managing your business’s growth and online reputation. We will also provide insights on how to maximize your social media marketing using organic and paid methods, as well as ways to help with the time management of it. Recently, Google published a revision to its content policy indicating that one should not “discourage or prohibit negative reviews or selectively solicit positive reviews from customers”. What does the policy update mean? The policy update means that a business should not pre-filter unfavorable reviews from appearing online. This process is referred to as review-gating. One way in which businesses actively review-gate is when utilizing a review-soliciting software that emails customers asking them about their experience. If a customer indicates they had a poor experience they are then directed to provide feedback that will only be seen internally, while a customer who indicates a positive experience will be prompted to provide a 5-star review on a public platform, such as Google Reviews. Google’s policy update is aimed at providing its users with the most relevant, informative, and robust information possible which includes both positive and negative business reviews. How does the update affect my business? Business owners should take steps to ensure that any software used to communicate with customers have the gating feature deactivated. If your business manages reviews internally, it is best practice not to individually select only happy customers to email asking for great reviews. What are the consequences of continuing to review-gate? If someone notices that you are review-gating and reports you to Google, there is the possibility that Google may remove any reviews received since the policy update announcement. As previously mentioned, if you use a third-party service to filter customer reviews, contact the service and make sure your settings are appropriately adjusted. Need help managing your online reputation the right way? Contact us! Recent Google Partner Event was a Success! 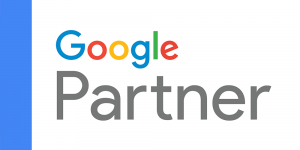 As a Google Partner, Millennium Marketing Solutions hosts Google-specific educational events throughout the year. On May 2, 2018, in honor of Small Business Week, we hosted a “Google Bites” luncheon for a group of local business owners and marketing professionals. 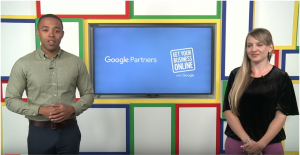 Google’s live webinar covered a range of topics including the power of Google My Business, local citations/listings, and tips on how to connect with today’s consumers. Today’s consumers are curious – 87% of smartphone owners turn to search first in a moment of need and there has been 80% growth in mobile searches for “best” in the past 2 years. Today’s consumers are demanding – More than 85% growth in mobile searches for “where to buy (product)”. Today’s consumers are impatient – there has been a 3x increase in “open now” searches. This is a powerful, FREE tool from Google that allows you to claim and maintain your digital footprint. Once you claim your listing through a postcard or phone verification you have complete ownership of your citation. Ownership of a citation requires that you constantly monitor it because Google is always rolling out updates, consumers can leave reviews (which you should always acknowledge whether they are positive or not), and anyone can request changes to it. When you have a complete Google My Business listing, studies show that the end user is 2.7x more likely to consider your business reputable. Your business is 70% more likely to attract a location visit and 50% more likely to lead to a purchase. Google Posts – Google allows you to create a post that lives on your citation for up to 7 days. These posts help keep your information fresh and can provide business or product updates to the consumer. Millennium utilizes this tool for our clients to post offers, open houses, specials, and more. Videos – Google recently released the ability to share videos on your citation. When sharing videos, it’s important to think about the story you’re trying to tell. 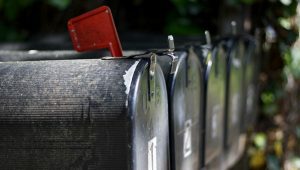 Considering front-loading your script and have a plan for your message. 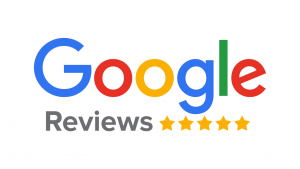 Reviews – Nothing is more important on Google My Business than reviews. Reviews give users the ability to share their experience. You can read and reply to these reviews as well as provide useful feedback. By doing this, you create loyal followers. There is so much more that you can do with your Google My Business listing. If you are ready to claim your listing, let us help you. Our team of digital marketing experts are ready to help. Thank you to those who attended the event, if you couldn’t make it, sign up for our newsletter and stay up-to-date on upcoming events!